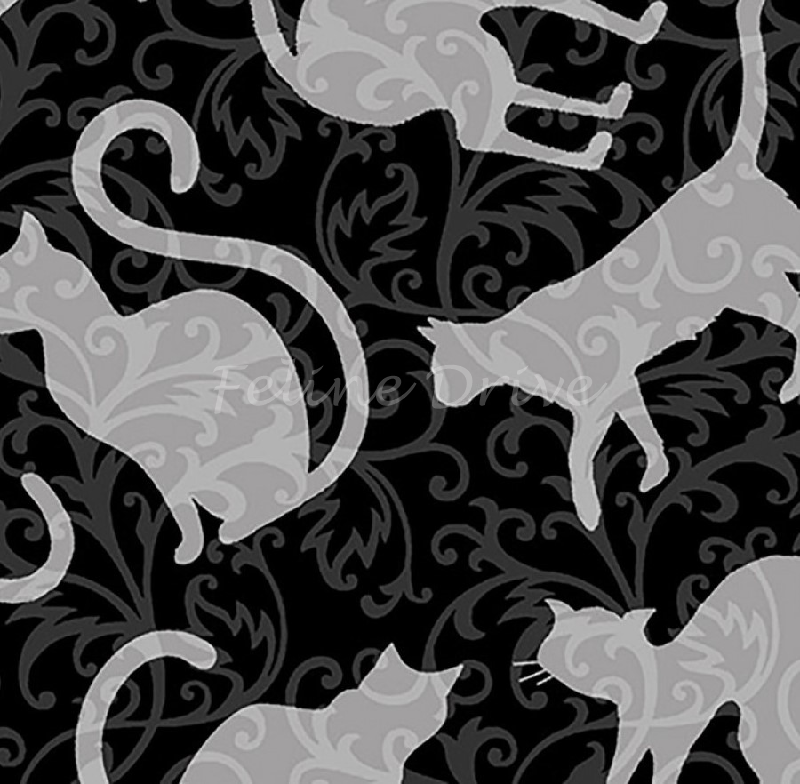 Grey cat silhouettes on a black background. 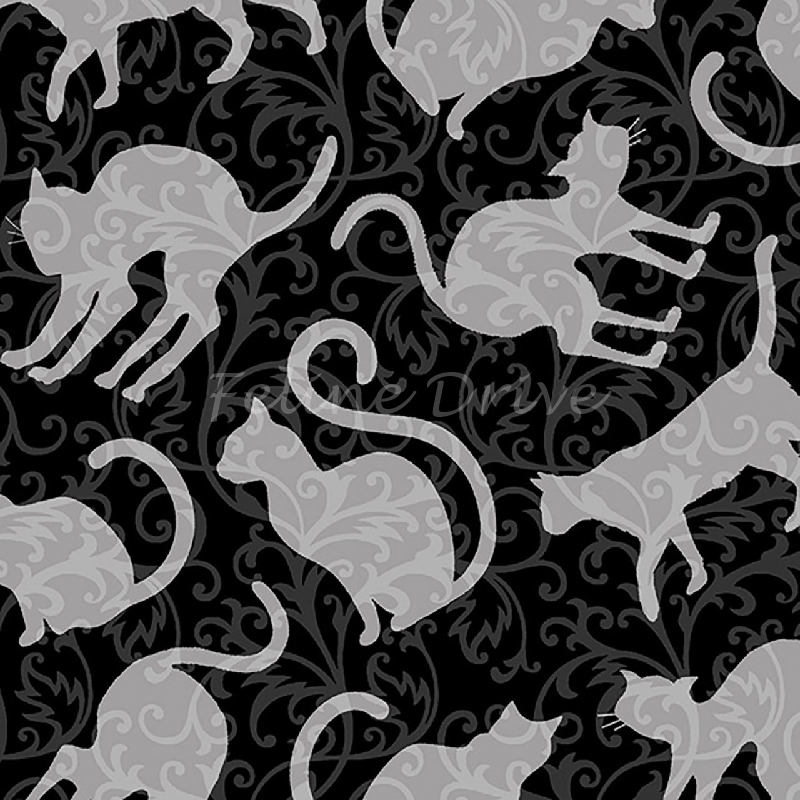 Vining scroll runs through cats and background. Print Size: Cats are approximately 1.75" to 2.5" long/tall.